These are the most common questions we get, and if you don't see something answered here, don't hesitate to reach out! Q: What bootcamp should I apply to? A: Any of them. One application works for all bootcamp potentials. We'll help you find the right fit. Q: Should I take the equity or RBI option? A: If you have a clear intent and plan to sell your business one day in the forseeable future, equity is the obvious option. If you don't, RBI might be a great option. This can be a complex question, and we're happy to help you figure out what is best for you and your company. Q: Are there other programs to help me if TVA isn't a perfect fit? A: Yes. We have many partners around the region and are happy to recommend them. Let us know what you're working on and your needs and we'll do our best to connect you. Q: Do I have to be in Telluride? A: Yes. For the defined time-lines for each bootcamp we expect you to be living here full-time during program (not commuting back and forth even if you live in the region). After the program, we do not require you to re-locate to Telluride, but we do everything in our power to make it a hard decision to leave! Q: Can I be in Telluride longer than the bootcamp dates? A: Absolutely. Make a long weekend out of any bootcamp, get your own place to stay, and invite your family! We anticipate several companies to be evaluating moving to Telluride full-time as well and can help find longer-term accommodations. Q: What options are available for housing/accommodations? A: We provide housing for two founders per team for your first bootcamp. If you want to bring additional team members, we'll help you find additional options. Q: Isn't it hard to travel in and out of Telluride? A: The added challenge is worth it. There will be daily flights in and out of Telluride airport to Denver during peak season, otherwise flights are generally plentiful and affordable if booked in advance through Montrose with flights to San Francisco, Atlanta, LA, Phoenix, Chicago, Dallas, Houston, and JFK. The car ride or shuttle is just over an hour and we often joke that it is shorter and far more beautiful than commuting from JFK to Manhattan in traffic. About 2.5hrs away from Telluride we also have Durango or Grand Junction where you have many other options as well. AKA. It's really not that hard. Q: Does my entire team have to be part of the program? A: At least one other team member must be a part of the program. No exceptions. Q: Can I keep my part-time job during the program? A: No. We expect a full-time commitment to your business. Q: Are there specific verticals that TVA focuses on? A: Not explicitly, but we focus on product companies. We also have a breadth of connections in the Health & Wellness, Nutrition, Outdoor, and Energy space. A: We invest in people, not just the ideas. We also know that we're playing in the startup world where the harsh reality is that a lot of businesses just wont make it. As investors and partners in your business, know that we're not here to force you down a path that doesn't make sense and that we're committed to you and our relationship for your entire entrepreneurial career. A: This isn't a school and you won't be in a class. This is about helping you build your business, and we're sensitive to the fact that many entrepreneurs must also continue running their businesses at the same time. Q: What is the review process for TVA? A: We have two selection committees. The first is made up of key mentors from the program to narrow down the top ~20. They review your application and will reach out to others in the network that might have more insight on your business and potentially commit early on to helping out specific teams. The second committee is made up of a mix of local founders, key stakeholders, and investors that are familiar with working closely with startups. They will dig deep on due diligence and ensure that we believe we can help provide each startup an unfair advantage compared to their competition. Q: Should I be worried about anyone stealing my idea? A: Ideas are a dime a dozen. It is the execution that counts. In reality, unless you have a hardware invention, it is often not even a topic worth concerning over. We have experienced council to help you protect your ideas if it makes sense during the program. Otherwise, like entrepreneurial communities around the world, you'll be surrounded with other like-minded individuals pursuing solutions to their own problems. After all, how will you ever know if you have a good idea or not if you never share it with anyone? Q: Where can I find more information on Telluride itself? Q: What is my team or one of my founders is from outside the US? Does TVA offer assistance with this process? A: We accept applications from founders all over the world. We realize that we are operating in a global economy. 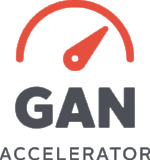 However, you do have to be legally in the U.S. for the duration of the Accelerator program. Unfortunately, we are unable to provide assistance until your company is accepted into the program. Q: Is working out of the TVA office space mandatory? A: All TVA teams do work out of the TVA office space on the main street in Telluride. The space has fast internet and offers conference room space as well as desk space to accommodate most meeting and work environments. As TVA mentors often just drop by to chat with teams - that opportunity can be highly valuable.